Viessmann ESyCool green is a modular system for efficient, environmentally responsible heating and refrigeration in food retailing. The integrated, extendable energy system is based on the use of highly efficient, series manufactured Viessmann heat pumps with natural refrigerant R290. The system is available in three different versions. They possess the necessary technology to refrigerate rather than generate heat, thus providing economical refrigeration in shops. In winter, the heat from the refrigeration system can also be used to heat the building. For the first time, this concept enables the use of a thermal store for heating energy and refrigeration in food retailing. The enormous energy yield produced by the phase change from water to ice plays a decisive role in this. With ESyCool green, Viessmann once again sets a new benchmark in innovative and efficient energy technology. All modules for a future, energy saving store are available from a single source. The Viessmann Group is one of the world’s leading manufacturers of heating, industrial and refrigeration systems. Founded in 1917, the family business employs around 12,000 persons and the Group generates EUR 2.25 bill. of sales each year (2016). 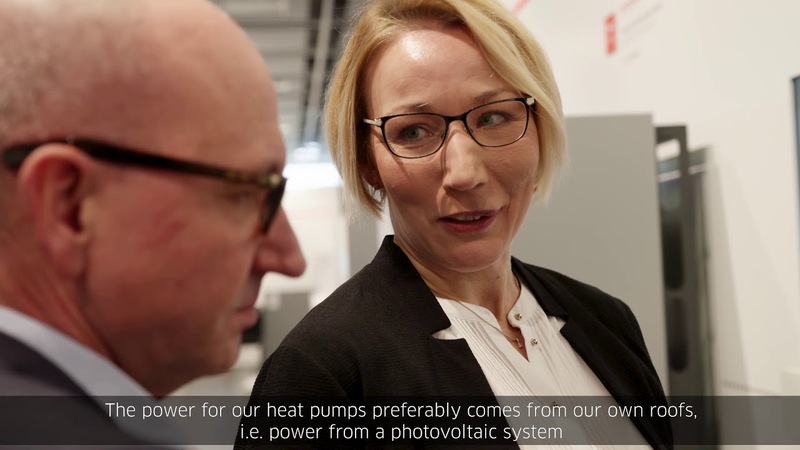 Viessmann operates internationally with 23 production companies in 12 countries, sales companies and representatives in 74 countries and 120 sales outlets worldwide. 54 percent of sales are generated outside Germany. Viessmann Refrigeration Solutions is one of Europe’s leading providers of innovative cooling solutions. The product portfolio includes refrigerated cabinets with remote and plug-in refrigeration technology, cold and freezer rooms, refrigeration systems and units as well as accessories. Installation and support services round off the complete range of commercial refrigeration services.